The Royal Mint is holding a vote to decide who is the next “Great Briton” to have his or her face commemorated on a coin. Jane Austen is one of the choices, so vote early and often! How hilariously and deliciously ironic is it to have Jane Austen, whose plots (and life) hinged so much on “pewter,” on a coin? C’mon, you only have till July 31, so go vote! For those of you who are wavering between Jane and John Lennon, remember that John sent back his MBE so it’s doubtful he would have wanted to be on a coin. VOTE FOR JANE! Can Mr. Darcy ever be rude enough? Miss Austen is clearly a classic choice. She has my vote. Besides, it would be more interesting a coin with the four Beatles, not only one. Fortunately in my book, Beatles do NOT trump JA :D.
Did anyone else notice that when you hover over the link for Jane’s “Why Should I Be a Great Briton,” the link has her name as “Jane Austin”? Strange that you noticed ‘Austin’. I didn’t. I even clicked on that question and it was all OK. I wonder what the Britons would want. I did vote for dear Jane, but Emmeline was a close second choice. And I agree with Cinthia, it’s all four Beatles or nuthin’. I already voted in Jane too! 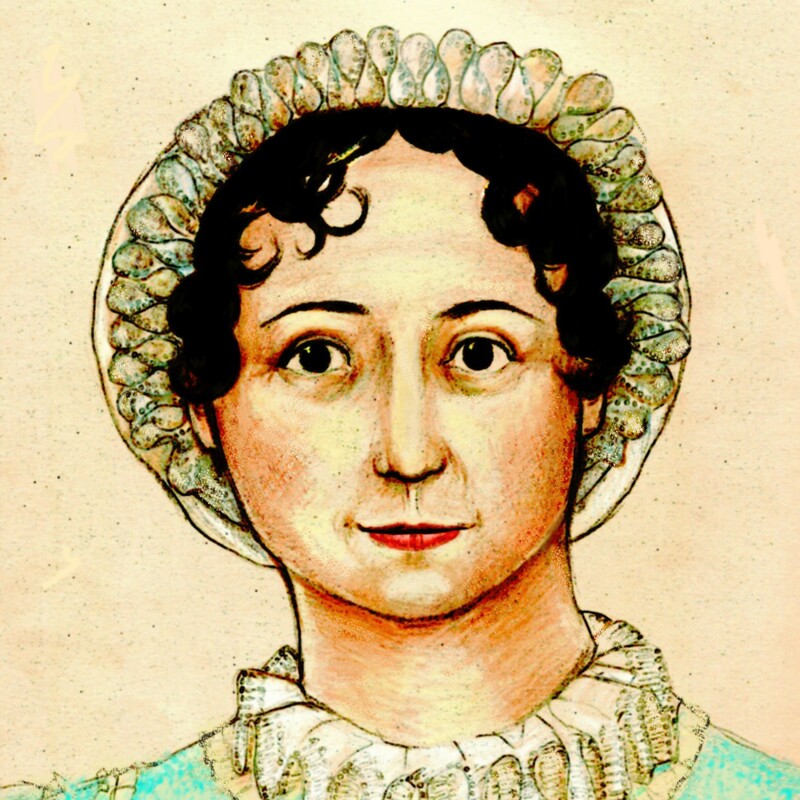 She nearly got onto the back of the £20 note some years ago, but the Royal Mint decided the only authentic portrait of her had such simple lines it would be a gift for forgers. The other candidate, Sir Edward Elgar, wore a fairly conventional suit but his big bushy moustache was considered more of a deterrent.